For audiences in North America, India is still a far off land filled with amazing things that tell countless stories. The question is where do you start? You get on the phone with Earthcare Productions. They are there to sort out every detail. From production and logistical support to their creative insights, Krishnendu and Madhurima and their amazing team get it done every time. It was this partnership that brought two action packed episodes of The Amazing Race Canada back home to some of the biggest ratings of the summer of 2016. Thank you again for all your help. You and your team were great and so organized. I absolutely would love to work with you again. "It is no exaggeration to say Earthcare's team were the best fixers I think I have ever had: efficient, tireless, good humoured under pressure, deftly negotiating the labyrinthine Indian bureaucracy, and constantly producing even the most extraordinary things we asked for as if out of a magic Mary Poppins carpet bag. Not only did they work at least as efficiently as a UK film drama crew, they also went way beyond the call of duty literally saving crew's lives. If I ever film in India again they will be my first phone call." 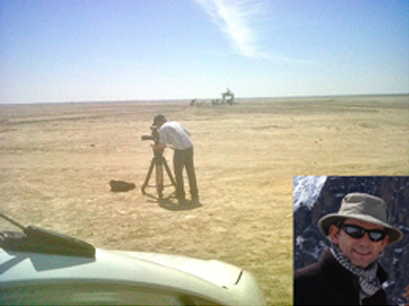 Earthcare Films were on call practically 24/7 during my time in Delhi, sorting, smoothing and enabling me to film what I needed to. I can honestly say that the practical and moral support they gave me during my time in Delhi was priceless. They’re genuinely nice people who understand the industry, have a ‘can-do’ attitude and sense of humour, which makes a big difference when you’re up against it. 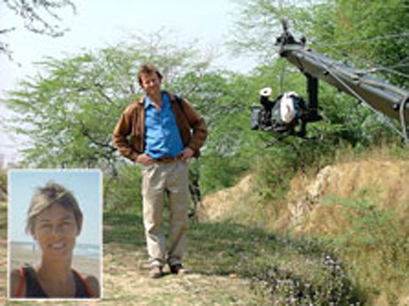 Sally Thomas, Associate Producer, Maya Vision International Ltd.
Earthcare Films, particularly Madhurima, fixed our 6 hr STORY OF INDIA, series for the BBC and PBS. They were fantastic! Madhurima is the Queen of the permissions procedure. If it's obtainable, she'll get it!! She also hired additional local crew, fixers and assistants, wherever we needed them, who were all a delight to work with and thoroughly professional. And even when circumstances beyond their control, threatened our carefully laid plans, they were there 24/7 to come up with alternatives and solutions and keep the shoot rolling. I have utter confidence in their ability to fix anything in India and would welcome any opportunity to work with them again. I love to improvise my stories on the spot and want to thank Earth Care team for their agility. They were 24/7 on their toes making wonderful stories happen on a very tight schedule. 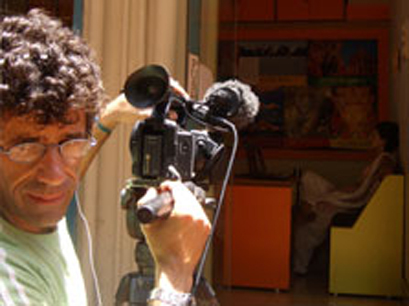 Peter Rader, Counter Point Films, Los Angels, CA. Not only was Madhurima Sen Bose and her team thoroughly professional, they were thoroughly pleasant, too. They had an excellent understanding of the Western mindset and met our needs with respect to production. They also had that key ingredient known as a sense of humor, which made it fun to be in India! 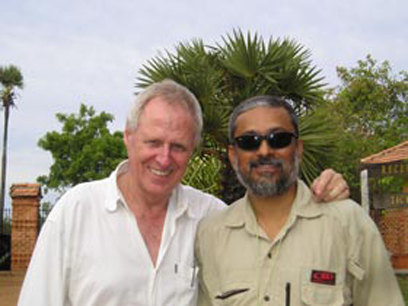 Rick Murray, Director Cameraman, Takeaway My Takeaway, Percept Television show, UK. 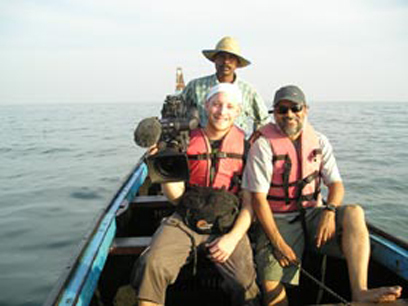 Hi Krishnendu, Thanks again for doing such a great job in Kerala, everything had been thought of, not just from a logistical point of view but from an experienced director’s perspective. 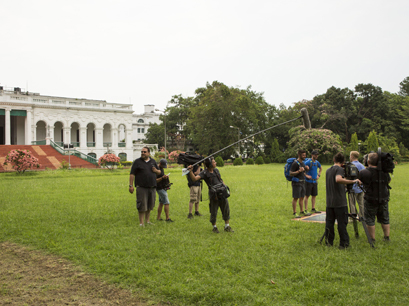 The team you hired worked round the clock to ensure that the film looked exactly how we wanted – their real strength was adapting to our changing demands and finding locations last minute when we required them. For every location we used, thought had been put into where we could shoot it from, and how the final product would look, which as a self shooting director – is a god send. As a result, the shoot was a very pleasurable experience and that will certainly come over in the film. Thank you! 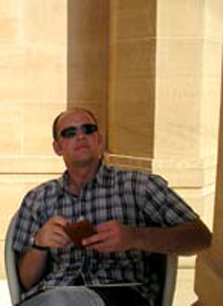 Bertram van Munster, Executive Producer, The Amazing Race, CBS show, USA. 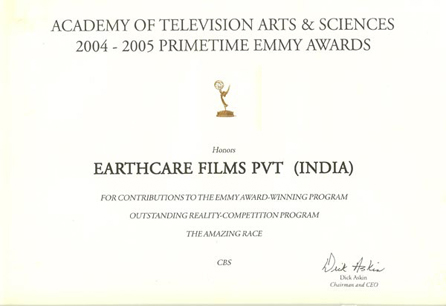 Krishnendu Bose and Madhurima Sen Bose and their company EarthCare, deserve the highest accolades for supporting my numerous productions in India , including several complicated episodes of the three-time Emmy Award winning The Amazing Race. EarthCare can run rings around all of the western production companies I have worked with. Their attention to detail is extraordinary – I needed six elephants for a UK shoot, and when they arrived (in the centre of Mumbai) there were seven, “in case one broke”. Nothing is left to chance. I would recommend them for shoots from single camera right through to fully designed productions. Truly a delight to work with. Certificate from Television Arts and Sciences, 2004-2005 Primetime Emmy Awards.